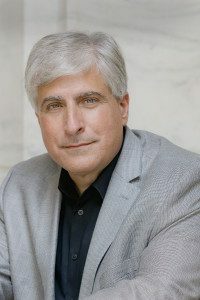 Author Roger D. Stone and historical researcher Skip Moskey join together to tell the story of the central role that the Smithsonian Institution’s S. Dillon Ripley papers played in the development and publication of Stone’s 2017 book, The Lives of Dillon Ripley: Natural Scientist, Wartime Spy, & Pioneering Leader of the Smithsonian Institution (University Press of New England). Research for the book required more than five months of full-time research into several hundred boxes of Ripley’s institutional, family, and personal papers that are housed in the Smithsonian Archives. Stone and Moskey will discuss how they coordinated the complexities of archival research involving papers that span more than a century. They will also share slides of some of their favorite items and documents that illustrate Ripley’s fascinating and at times surprising life. Author Steve Berry. Photo by Rana Faure. Saturday, March 24 at 6:00 p.m.
What is believed to be known about the murder of the Rev/Dr. Martin Luther King Jr. comes under intense scrutiny in Steve Berry’s latest thriller, THE BISHOP’S PAWN. Critics have said that, “nobody does history better than Steve Berry.” His novels are an exciting mix of 90 percent fact and 10 percent speculation. This one turns upside down what you may think you know about Dr. King’s murder. Berry and award-winning radio host, Maggie Linton, will take a hard look at the research behind THE BISHOP’S PAWN and explore the death of a civil rights giant, which is extremely timely given that 2018 is the 50th anniversary of the tragedy. Next Post #ColorOurCollections is back!